“Honey-do” season is in full swing, people. The weather is nice, the days are longer and kids are out of school, which means your household to-do list will probably double in size. However, if you’re like most of us, you’d rather be relaxing poolside than pushing a lawn mower around in the hot sun. No matter what tasks are on your honey-do list—building a new swingset in the yard, trimming weeds, cleaning the pool—there’s a way you can get everything done faster and more efficiently. Spoiler alert: It’s by using smart home products. Here are several ways the right tech can put a dent in your honey-do list so you can get back to relaxing on your day off. I’ll admit that, to date, I still borrow my father’s power tools, then put them back in the wrong spot. It’s definitely a headache for him when he needs his drill and it’s nowhere to be found—sorry, dad. 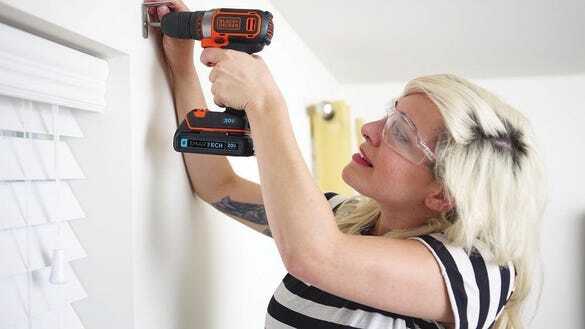 If this sounds like your household, you definitely need to invest in tools from the Black+Decker Smartech product line. Take the Smartech Drill, for example. 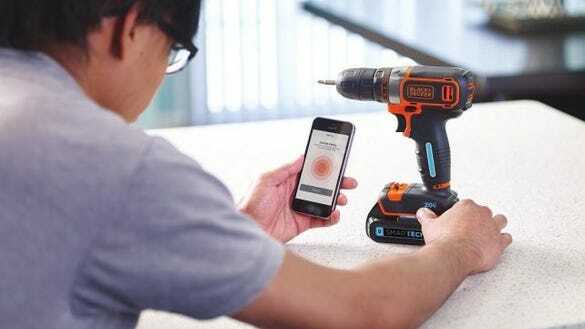 With this smart tool, you can use your phone to locate the drill, remotely lock the device and even check the battery life. There are also Smartech vacuums, power sweepers, hedge trimmers, and more, so you can have an arsenal of smart tools at your disposal. Is one of your recurring honey-do tasks cleaning the pool? There’s a robot for that. 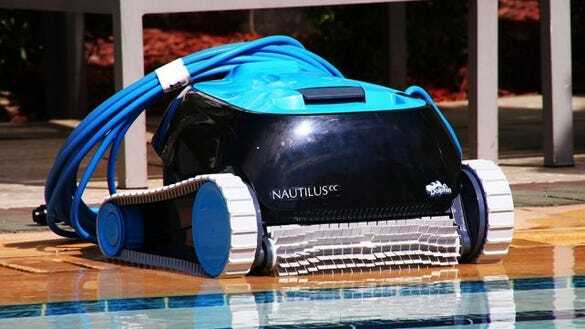 Seriously, with the Dolphin Nautilus robotic pool cleaner, you can get your pool sparkling clean without lifting a brush. Plus, you can pair the robot with the MyDolphin app to create automatic cleaning schedules. Organization and efficiency go hand-in-hand, and for those tools that don’t have built-in trackers, there’s Craftsman’s line of smart tool storage chests. These high-quality tool boxes have plenty of space for all your tools, as well as built-in electrical outlets so you can charge batteries right in the box. That’s not the best part, though. 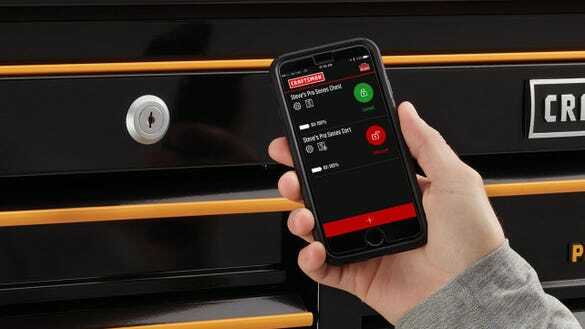 This line of tool chests can be remotely locked and unlocked via your phone, so you can keep the curious hands of kids out of harm’s reach without having to keep track of another set of keys. What do you do if your honey wants you to find out what’s been living in the wall? Call on the General Tools Wi-Fi Video Inspection System. Just stick the probe in the hard-to-see location, then use your smartphone to watch the video stream. 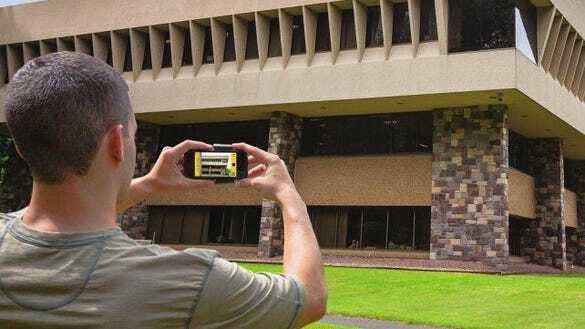 It’s the perfect way to take a look into dark, creepy places, and you can even save videos or images to your phone! It’s definitely tricky to measure large objects, so if you need to take measurements for new gutters or deck railings, the Stanley Smart Measure Pro will be your best friend. Just snap the device onto your smartphone, take a picture of the object you need to measure, and the Smart Measure app will calculate the dimensions. It can even estimate the amount of material you’ll need to, say, put new shingles on your roof or replace a wall of your shed. When it comes to a long, arduous honey-do list, you’ve got to work smarter—not harder! With these smart home devices on your side, you’ll be the household hero as you tackle task after task.